If you’re looking for dog-friendly parks, Miami-Dade is filled with them. There are at least 28 free and cheap parks you and your dog can enjoy together. There are a few dog parks that allow your dog to run free, without a leash, and play with other dogs within a fenced-off area. These dog parks offer separate areas for smaller and larger dogs along with water fountains, bag dispensers, waste containers, shaded areas, and seating areas. 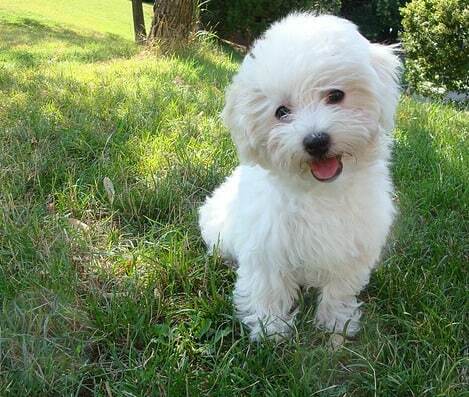 Remember to make sure your furry friend is up to date with its vaccinations before visiting any dog park. Along with a dog park, at Haulover Park you can also find a grassy open space for your dog to play, fetch and run around without a leash. If you want to take your dog to the beach, there is a designated area it is welcome. Entrance to the dog park is through parking lot 3, if you’re traveling southbound on Collins Avenue, or lot 4, if you’re traveling northbound on Collins Avenue. Entry fee is $2 per vehicle. Haulover Park is at 10800 Collins Ave., Miami, FL. For more information call 305-947-3525. Amelia Earhart’s dog park offers five acres of land, with paved sidewalks, for your dog to run free on. Admission is free but parking is $7 on weekends. The parking at Amelia Earhart Park is $7. Visit the dog park at 401 E. 65 Street, Hialeah, FL 33013. For more information call 305-685-8389. The dog park at West Kendall District Park is close to seven acres and offers water sprays, pooper scoopers and doggie play equipment, such as dog walk ramps, tire and window jumps, and a paws table, for fun and exercise. Visit the dog park at 11255 SW 157th Ave. Miami, FL 33196. For more information cal 305-386-0227. Free. Located in Coconut Grove, with beautiful views of the open bay, David Kennedy Park offers a free dog park. You can also take a short walk to the Peacock Garden Café which happens to be pet-friendly. Visit the park at 2200 S. Bayshore Drive, Coconut Grove, FL. For more information call 305-575-5256. Free. Located at 201 2nd St., Miami Beach, FL 33139, Washington Avenue Bark Park is free. For more information call 305-673-7720. Located at 1400 Michigan Ave., Miami Beach, FL 33139, Flamingo Bark Park is free. Located at 16425 South Dixie Highway, Miami, FL 33157, Perrine Wayside Park has a free dog park. It’s part of a three-acre dog-oriented family park, with separate areas for large and small dogs, plus a lake where the dogs can swim. For more information call 305-259-1234. Located at 4411 Pine Tree Drive, Miami Beach, FL 33140, Pinetree Bark Park is free. For more information call 305-673-7730. Located at 52 Venetian Way, Miami Beach, FL 33139, Belle Isle Park has a free dog park. Located at 8101 Collins Ave., Miami Beach, FL 33141, North Shore Open Space Bark Park is free. For more information call 305-861-3616. 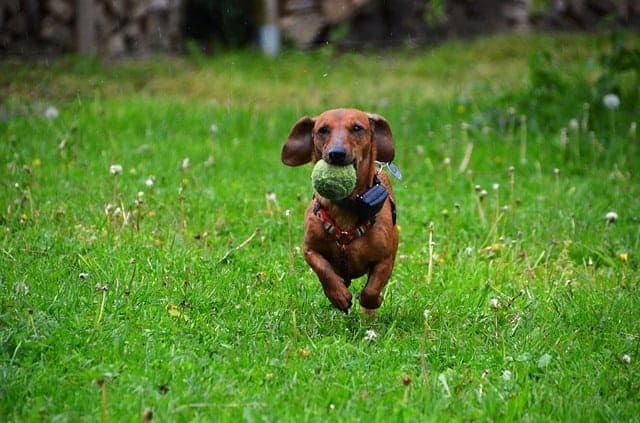 Here are dog-friendly neighborhood parks where you can stroll, run and play with your dog as long as it’s kept on a leash. It might be inportant to consider the terrain when choosing a dog stroller for these locations. There are bag dispensers and waste baskets available for dog owners to pick up after their pooches. Always bring your own bags just in case. Visit Acadia Park at 5351 NW 195 Drive, Miami, FL 33055. For more information call 305-621-2461. Visit Biscayne Shores and Gardens Park at 11525 NE 14 Ave., Miami, FL 33161. For more information call 305-770-3125. Visit Coral Villas Park at 6398 SW 35 St., Miami, FL 33155. For more information call 305-666-5883. Visit Chapman Field Park at 13601 Deering Bay Drive, Coral Gables, FL 33158. For more information call 305-665-3837. Visit Deerwoord Bonita Lakes Park at 14445 SW 122 Ave., Miami, FL 33186. For more information call 305-234-1660. Visit Highland Oaks Park at 20300 NE 24 Ave., Miami, FL 33180. For more information call 305-932-2164. Visit Kevin Broils Park at 26150 SW 125 Ave., Miami, FL 33032. For more information call 305-233-3150. Visit Kings Meadow Park at 9946 SW 142 Ave., Miami, FL 33186. For more information call 305-380-6917. Visit Rockdale Park at 9325 SW 146 St., Miami, FL 33176. For more information call 305-596-9324. Visit San Jacinto Park at 4430 SW 15 Terrace, Miami, FL 33134. Visit Snapper Creek Park at 10280 SW 80 St., Miami, FL 33173. Visit Spanish Lake Park at NW 82 Avenue, Hialeah, FL 33015. For more information call 305-823-2414. Visit Tamiami Trail Park at 12760 SW 6 St., Miami, FL 33184. For more information call 786-315-5295. Visit West Kendale Lakes Park at 6400 Kendale Lakes Drive, Miami, FL 33183. For more information call 305-207-1644. Visit Olympic Park at 8626 SW 152nd Ave., Miami, FL 33193. For more information call 305-385-4750. Visit South Pointe Park at 1 Washington Avenue, Miami Beach, FL 33139. For more information call 305-673-7766. The Village of Pinecrest announced an “unofficial” dog park, or a pop-up, titled “Fido Sundays” from 10 am to 5 pm Sundays at Pinecrest Gardens, 11000 Red Road, complete with water bowls, poop bags and loaner leashes, if you need them.